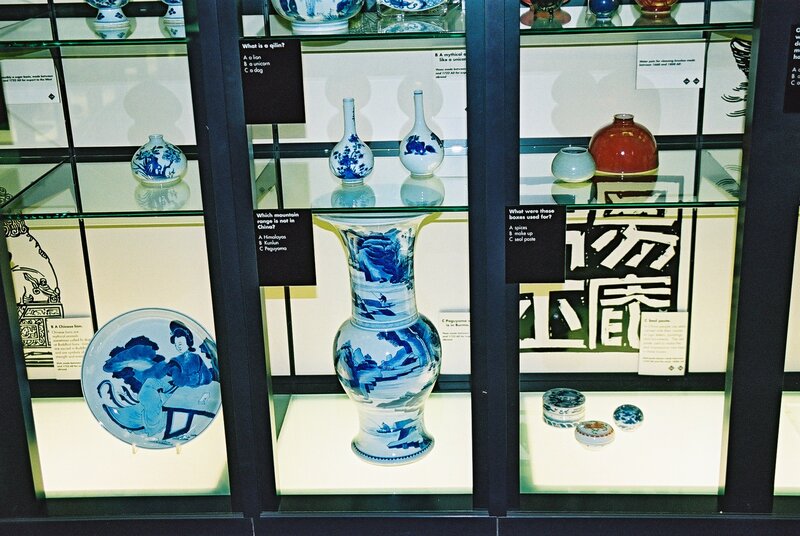 Having already been told that they have behaved unethically, Croydon Council and senior councillors such as Steve O’Connell, Dudley Mead and Tim Pollard now look set to have a High Court judge rule on whether they have acted unlawfully over the proposed £13million pawn-shop sale of the borough museum’s Riesco Collection of ancient china. A group of concerned local residents has launched its own “2013 Riesco Collection”, trying to raise £20,000 to pay the legal bills expected for asking for a Judicial Review of the council’s decision to sell 24 of the most valuable pieces from the collection. The residents’ move to legal action was tonight welcomed by the Museums Association, the body which threatened to sanction Croydon Council for breaking their organisation’s Code of Conduct. Croydon is only the third local authority in four decades to lose its Museums Association accreditation. The lawyer also warned the committee that if the council ignored its own agreed policy, they risked being challenged in the courts. That advice has proved accurate, thanks to a significant donation made this week by an anonymous Croydon resident to pay towards the legal costs of applying for a Judicial Review. A Judicial Review is where a member of the public can ask a judge to rule on whether a public body has behaved in an unlawful manner, in this case through breaking the terms under which the china collection was given to the council, and through acting in breach of the council’s own policy over the disposal of publicly owned art. In some cases, the court can issue an injunction to stop the authority acting unlawfully. If the High Court accepts the application for a Judicial Review, then Croydon Council’s planned auction, due to take place in Hong Kong next month, may have to be postponed pending the judge’s ruling. A campaign website, www.riesco.org.uk has been set-up to help with fund-raising for the legal costs. Timothy Godfrey, Labour’s spokesman on the arts and culture on the council, also welcomed the residents’ group’s legal action, and called for “a modern-day Raymond Riesco to step forward with funds to pay the legal costs”. Raymond Riesco was the local businessman who in the 1950s made a gift of his priceless and world-renowned collection of porcelain to the people of Croydon. Among the conditions Riesco attached to his gift was that the collection was not to be broken up, that it was to be displayed for the people of Croydon, and that it was not to leave the country without the permission of the Treasury. Since they had the 24 most valuable pieces secretly removed from display in the Museum of Croydon in July 2012, Croydon Council has managed to break all three of those conditions of Riesco’s gift. The council’s arrogant argument is that as it owns the Riesco Collection, they can do what they like with it. But, as they also know very well, they are not allowed to act “in clear contravention” of council policy without first referring any new policy to public consultation. Tonight, a spokesman for the Riesco Collection campaign said, “Without ever asking Croydon’s Council Tax-payers, this council has shut the borough gallery, it has axed the annual Mela music festival, it cut the modest grant to the Warehouse Theatre forcing its closure, they closed the Clocktower arts programme and they padlocked the doors to the David Lean Cinema. The Riesco resignation: Doesn’t Pollard read his mail? Is Croydon on the brink with £1 billion borough debt? This entry was posted in 2014 council elections, Art, Community associations, Croydon Council, David Lean Cinema Campaign, Dudley Mead, Education, Fairfield Halls, History, Inside Croydon, Museum of Croydon, Riesco Collection, South Croydon Community Association, Steve O'Connell, Tim Pollard and tagged Croydon, Croydon Council, Judicial Review, London Borough of Croydon, Museum of Croydon, Museums Association, Riesco collection, Steve O'Connell. Bookmark the permalink. Am I right in thinking that Croydon Council – this or previous administrations – has already sold off parts of the collection? There was of course no FOI in 1970 or 1984, so no one could know or question the terms of the gift at this time… which is probably how previous administations got such practicies under the wire. Why do Croydon Council think they own the collection?